Happy Spring! 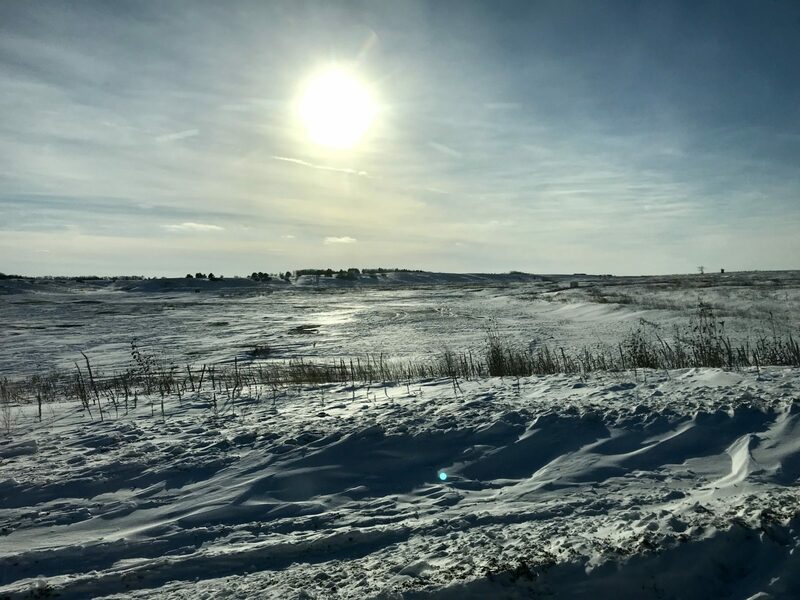 While the vernal equinox may herald a new season, the northern prairie is still largely under white blankets of snow, as evidenced by the frozen lake at Parkhurst Point in North Dakota pictured above! 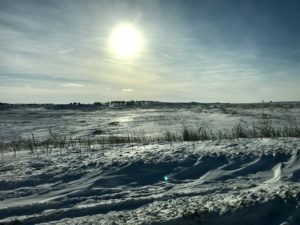 Thankfully, the temperatures are rising, and thus far the northern prairie hasn’t experienced the terrible flooding seen further south. May this new season be a time of exciting new beginnings for you and yours! ← Travel Tip: Lodge of Four Seasons! Too. Doggone. COLD. It’s been a long cold one… but Spring and Summer are coming! All two glorious weeks of them! !